Installment payment available (0 % interest rate possible). Super Thermo Shirt with crew neck and long sleeves. Solid inlay fabric on shoulders for protection when using a backpack. I work outside and this base layer is ideal for regulating temperature when working hard.It seems to be well made and a good fit.Time will tell on how it wears. I already own one of these. Had it for two years and would not want to be without it on cold days in the mountains. Because it does not absorb any moisture there is always an insulating layer of warm, dry air on the skin. It means I can leave two other warm shirts at home that used to go on top of my base layer. I also don't need to constantly add or remove layers. Only drawback is that it starts to smell pretty fast. But it's not possible to achieve this insulating effect with a material that does not smell. 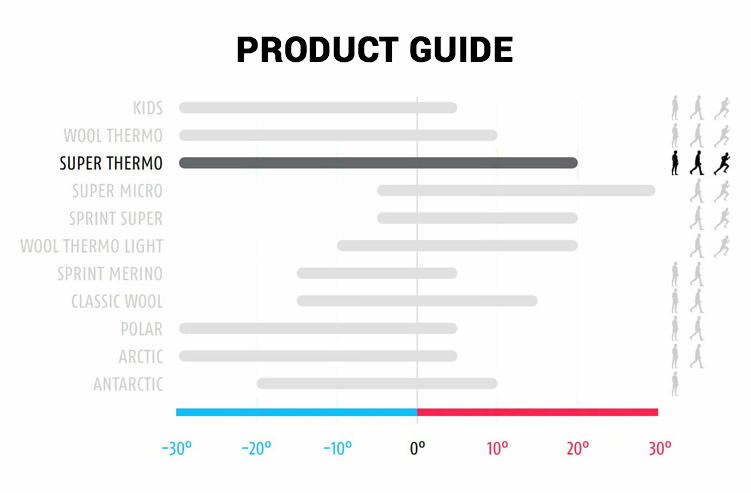 Anything natural like merino would absorb moisture and feel colder on the skin. Just buy two!